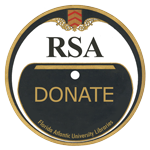 Sound 'n Scores is a project of the Recorded Sound Archives at Florida Atlantic University Libraries in Boca Raton, FL. It is a unique online approach to music studies which combines the experience of hearing recorded sound tracks while viewing corresponding sheet music. This project was supported, in part, by a grant from the Nathan Cummings Foundation, with the support and encouragement of Beatrice Cummings Mayer.